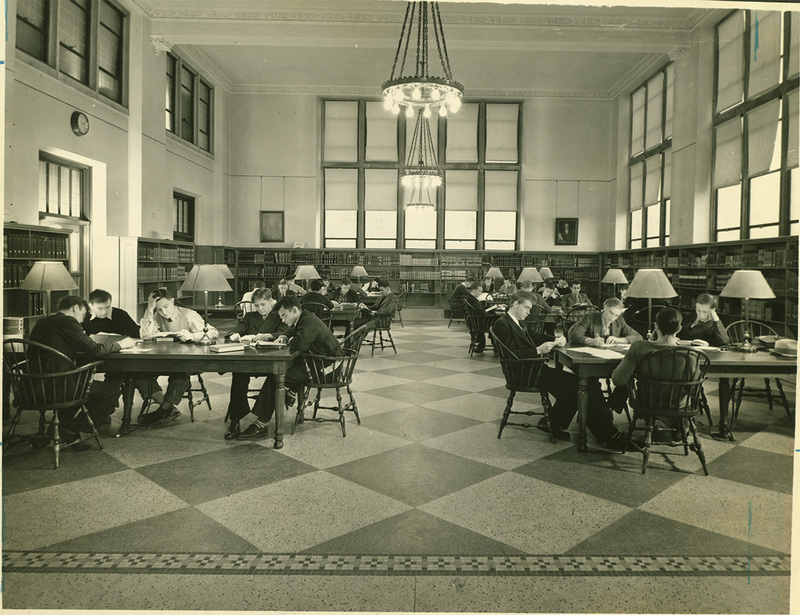 Muhlenberg College’s library, housed until 1929 in the Administration Building (Ettinger), had its origins in three book collections: those of the Euterpian and Sophronian Literary Societies, and the College Collection, which had accumulated through purchase and donation since the inception of the institution. 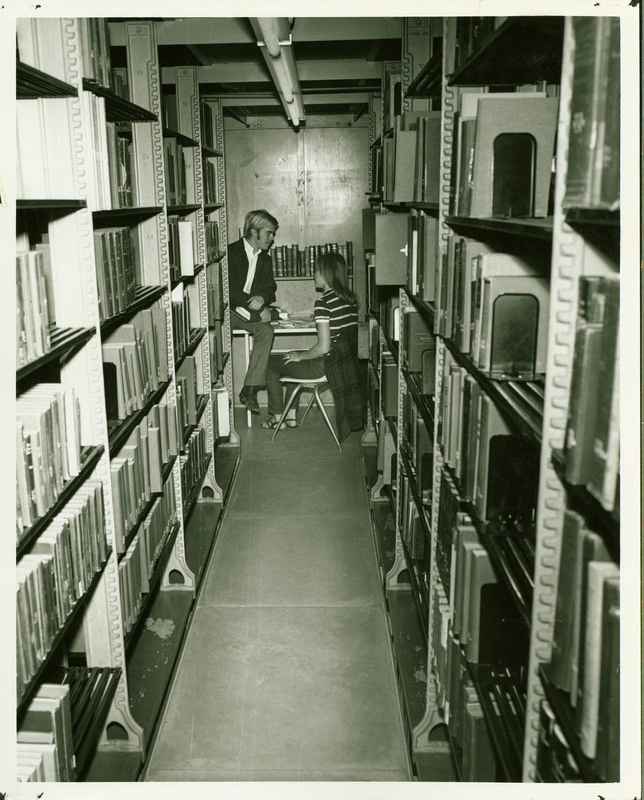 By the time of Dr. Warren P. Laird’s needs assessment for “A Greater Muhlenberg” in the second decade of the twentieth century, books were stored in closets and boxes, overflowing their space and challenging for students to access. 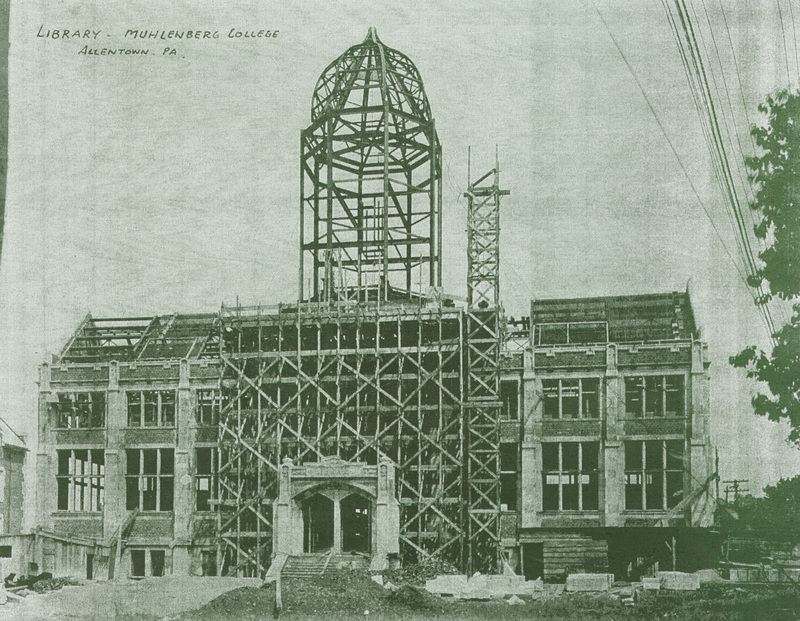 Commenced after the Science Building (Trumbower), ground was broken for Muhlenberg’s library building in the spring of 1925. The building was designed by the firm of Ruhe and Lange of Allentown, and was constructed of brick and Indiana limestone. The tower was inspired by “Tom Tower” at Christ Church College, Oxford, which was designed by Sir Christopher Wren. 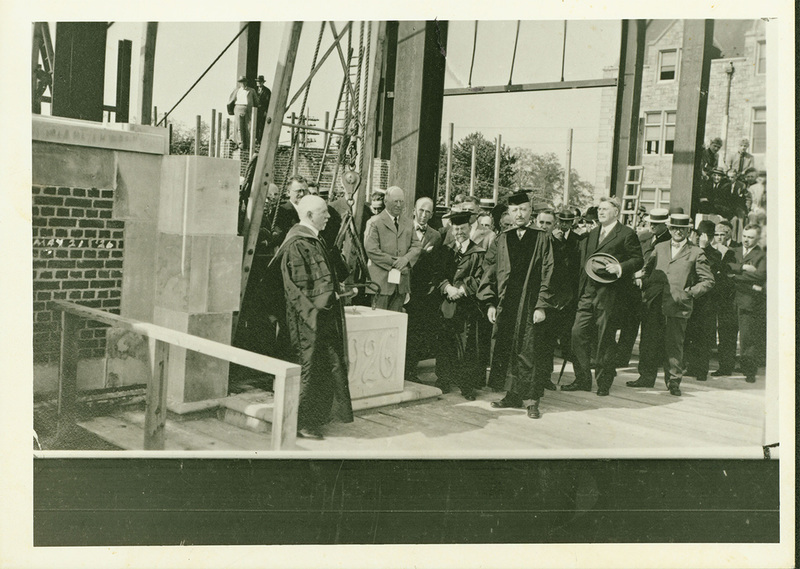 The Library was dedicated on May 28, 1929, the same day that ground was broken for the construction of Egner Chapel. At the time of its occupation, the library consisted of approximately 48,000 volumes. The post of Librarian at the College had been filled by various faculty members on a part time basis: Professor Davis Garber held the position from 1888-1897, Dr. George T. Ettinger from 1898-1904, and Dr. John Bauman from 1904-1912. 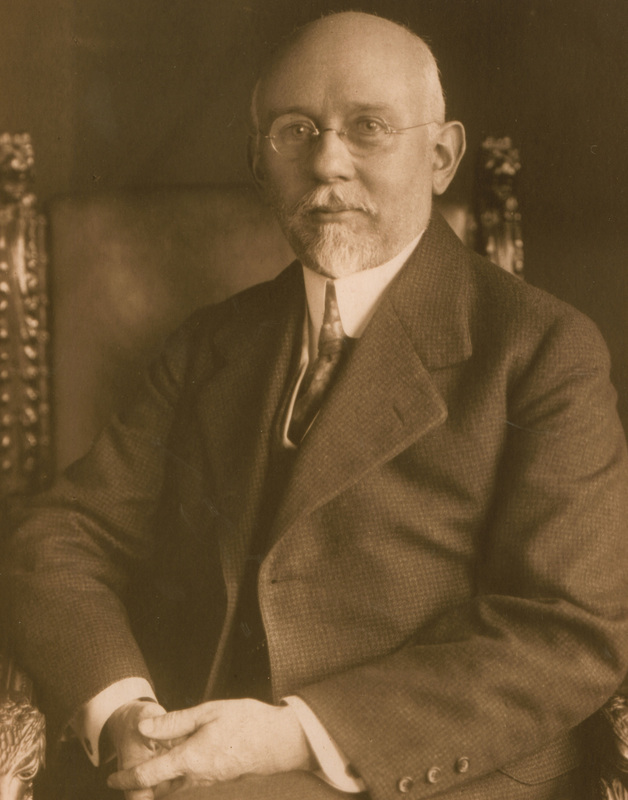 Dr. Stephen G. “Teedy” Simpson, professor of English, held the position from 1912 until a full-time librarian was finally hired in 1938, and was so beloved that he was named “Librarian Emeritus” until his death in 1942. 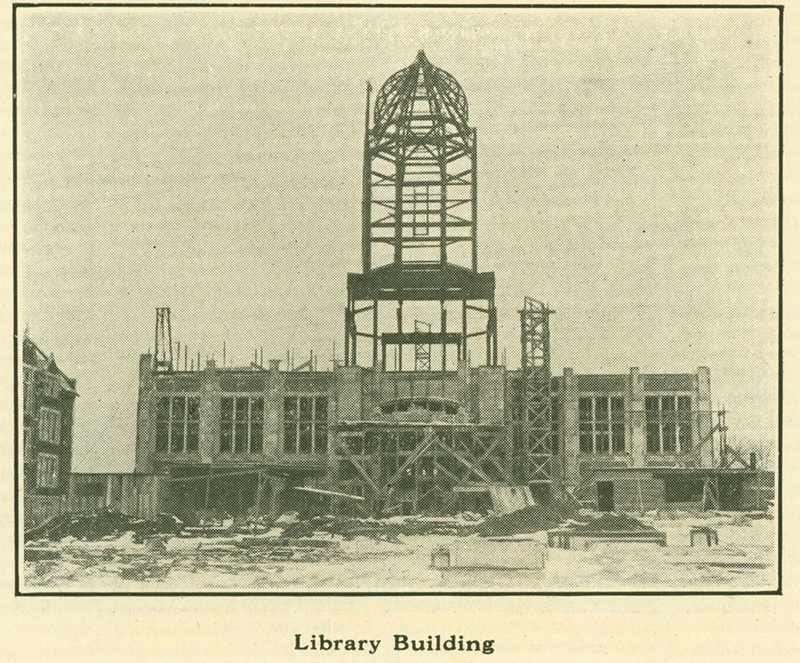 The library was a center for cultural events on campus; the first annual college dance was held on the second floor in the spring of 1931. 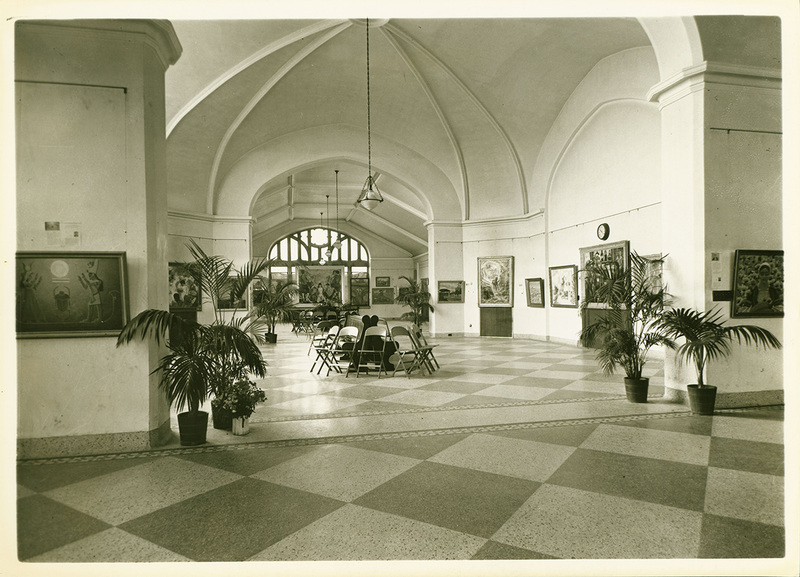 Additionally, with the advent of artists George Rickey and Philip Evergood to lead the nascent Art Department in the early 1940s, the library housed an art gallery and department offices. 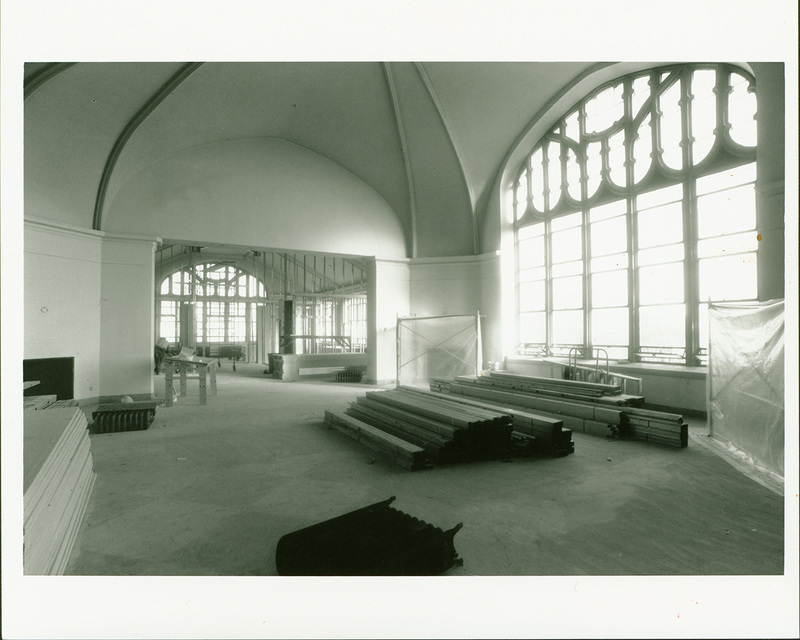 In 1957, the library was named for Dr. John A. W. Haas, Muhlenberg’s longest-serving president and the man under whose administration the “Greater Muhlenberg” expansion initiative took shape. 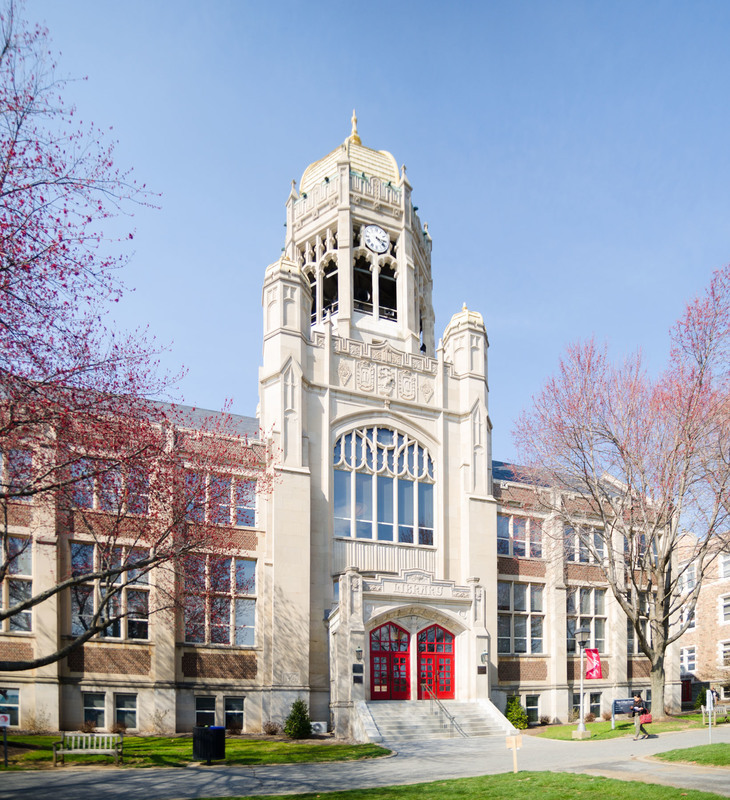 In 1982, the bell tower was named for David A. Miller, member of the Class of 1894 and founder of the Morning Call. The carillon bells, originally installed in 1960 as a gift from the Miller family, were converted to digital in 2003. Each day at noon, it plays “Gaudeamus Igitur,” a traditional collegiate tune, and in the evening, the Alma Mater. 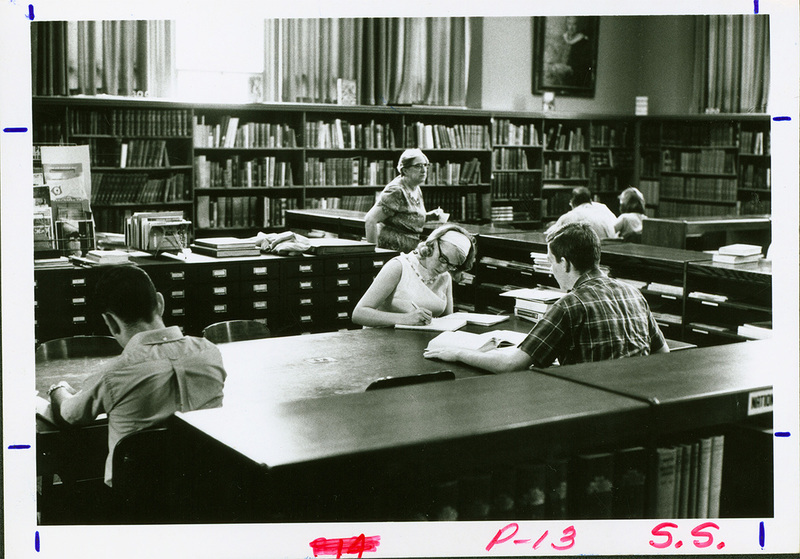 By the mid-1980s, it was clear that Haas Library was no longer meeting the College’s needs. 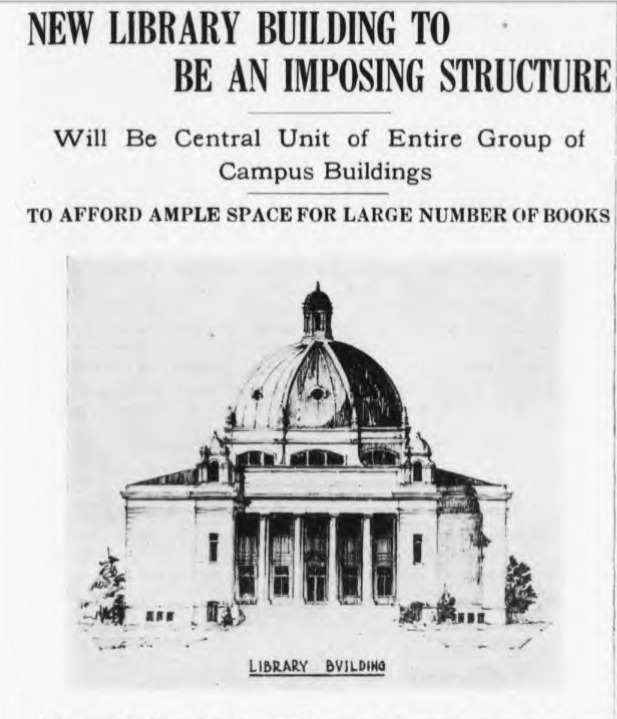 Space, climate control, and security concerns all dictated that a new library was in order. 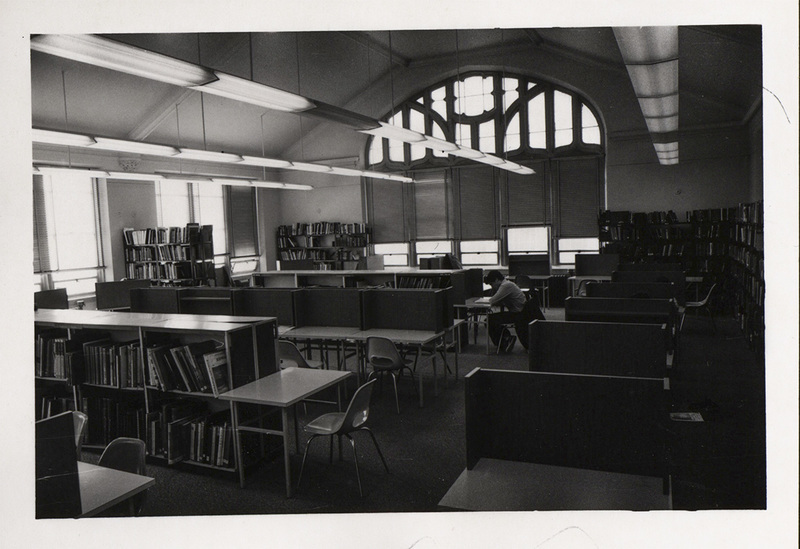 The Harry C. Trexler Library was dedicated in 1988, and after the book transfer, Haas was renovated to accommodate the College’s administrative offices. 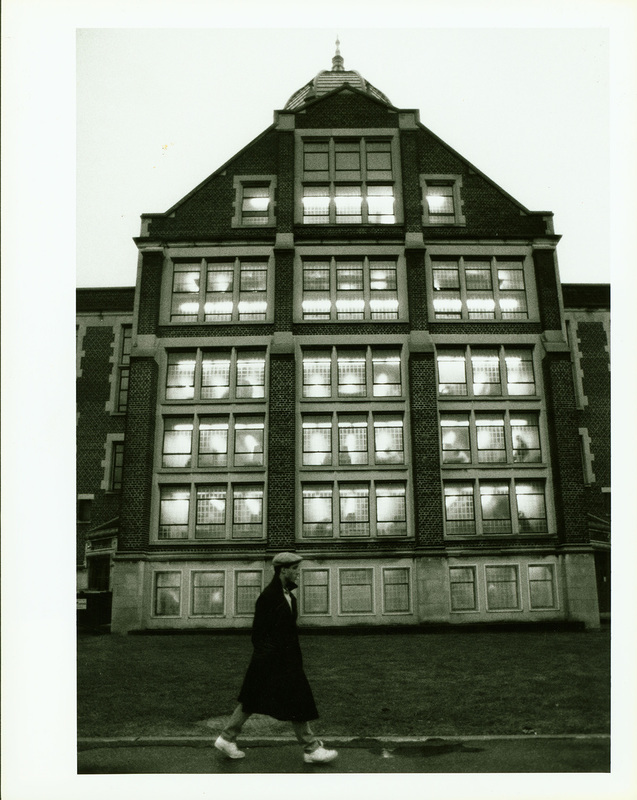 The John A. W. Haas College Center was dedicated on October 18, 1991. Today, the building houses the offices of the President and the Provost, as well as Admissions, Alumni Affairs, Advancement, Human Resources, and more. 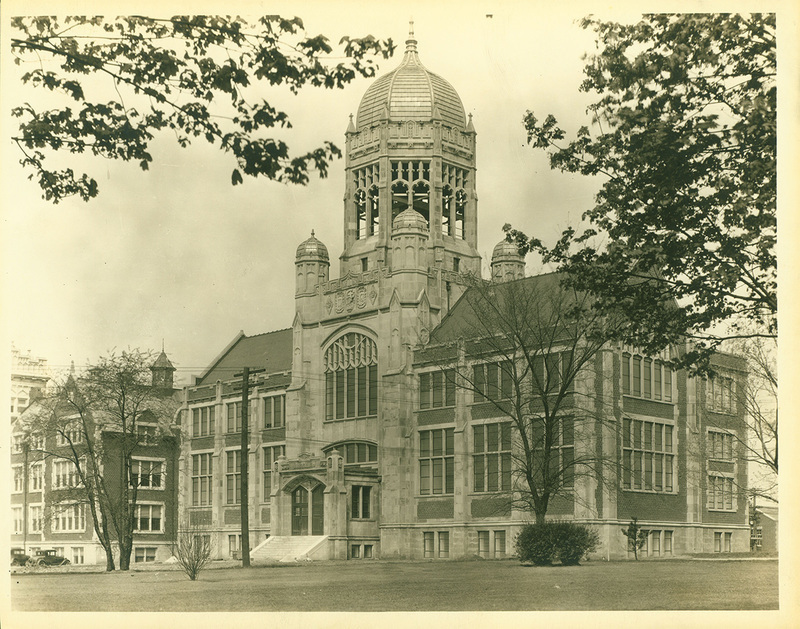 Special Collections and Archives, Trexler Library, Muhlenberg College, “John A. W. Haas College Center (1929),” Muhlenberg Pathways to Present, accessed April 23, 2019, http://pathways.trexlerworks.muhlenberg.edu/items/show/6.